Choose your flights and room type below to get the bespoke price for your holiday. You will only pay a £1,000 deposit today with the balance due 3 months prior to departure. If you would like to talk to somebody about this trip then please feel free to give us a call on 0203 362 4114. 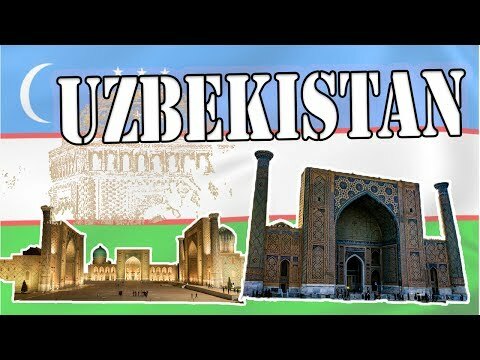 Journey with us for an unforgettable tour of Uzbekistan, a unique experience full of adventures. You will be introduced to the history, geography, culture and especially the textiles of this wonderful country. During the tours you will see the ancient cities of Samarkand, Bukhara and Khiva and pass along the routes of the Great Silk Road. A rich heritage of textiles and craft, steeped in history with a large number of amazing buildings and holy places. Visiting such places is a part of the experience of Uzbekistan. Not forgetting modern Uzbekistan, a developed, progressive country where the friendly people enjoy meeting us, be it in the traditional bazaars or the modern hotels. A fascinating blend of the old and the new at this ancient crossroad of culture and trade. More than 4000 architectural and archaeological monuments are located in the territory of Uzbekistan, and four of them are UNESCO World Heritage Sites. . This tour to Uzbekistan is specially created for those people interested in the rich history, colorful culture and grandiose architecture of the different nations living here now and in the past. Rishtan is the oldest center of ceramic art in Central Asia. The famous technique of glazed earthenware which local people use for their household needs, which is exported from the Fergana Valley was created here. The most characteristic coloring of this earthenware (ceramic) is a turquoise, dark blue and brown scheme on a milky-white background. Ishkor glaze, made from ashes, gives the earthenware its beautiful soft shine. Rustam Usmanov has built his own complete pottery studio at home. 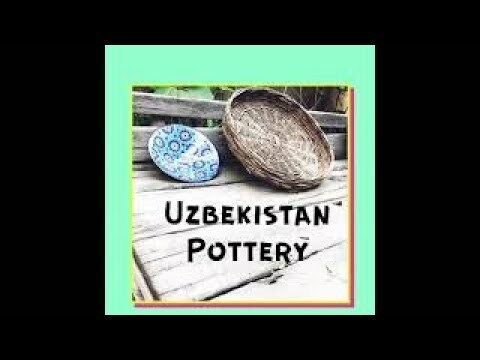 Mahmud Azizov, a skillful master of kuzagar, produces various forms on a moving pottery wheel, which Rustam and his relatives paint by hand. In 2007, the country widely celebrated the 2000th anniversary of Margilan – This is another city in the list of famous historical cities of Uzbekistan with a millennia history. Located in the south of the Fergana Valley, Margilan was formerly at the crossroads of trade caravans from China to the West and vice versa. The origin of Margilan is closely related to the opening of the Silk Road. The Silk Road made Margilan the center of silk and chief keeper of its secrets. As far back as in the 10th century Margilan – the largest city in the Fergana Valley – was widely known for its silk products from the far West to the far East. Since time immemorial, it is famous for great masters – Beautiful silk, manufactured in the city and its surroundings, was exported to Europe and the East along the ancient Great Silk Road Even today Margilan is considered as the silk capital of Uzbekistan. It produces the famous khan-atlas, woven and dyed by hand using the traditional techniques. Amazing in beauty and originality Margilan embroidery – Suzanne and skullcaps speak of the variety and beauty of Margilan silk. We will visit a famous Margilan silk factory, where we will see the process of silk manufacture from start to finish. There are two fabulous markets on the agenda for this Uzbekistan adventure! First, you’ll get to explore Bukhara market. Here you can watch artisans at work on many handicrafts including suzani, miniature paintings, jewellery boxes and chess sets. Then, you’ll be seeing another market in Urgut which is a very traditional and inspirational market. Locals bring their own produce to sell at this market form the countryside. Amazing! Khiva is a beautiful city with a rich history. We will be taking a full day to explore all the charms of this gorgeous location. In order to enjoy the charms of Khiva without the crowds, we will be going on an early morning walk. You can event see a stunning landscape of Khiva from Juma minaret if you’re brave enough to climb to the top! The city has been rebuilt 7 times and is home to some of Uzbekistans most beautiful sights. Bukhara is an ancient city in the central Asian country of Uzbekistan. Known as Central Asia’s ‘holiest city’, Bukhara has buildings that have lasted around a thousand years of history. Amazingly the old centre that hasn’t changed too much in two centuries despite having been thoroughly lived in. This is where we will be able to watch many at work on a variety of handicrafts at the Bukhara Artisan Development Centre market. We will get to dive into the city and really see everything it has to offer! We will be visiting markets with these traditional, well known puppets and watch how they get made. We will also, see wood carvers at work as well as taking part in a wood carving workshop on day 3! How exciting. You might discover a hidden talent! Possibly the tastiest bit of the holiday – the food. Although a lot of the meals will be had in the hotels, the food will be lovely. Plus, there will be opportunities for you to eat out in the restaurants. For example, you will get to eat at an old Jewish Merchants house called ‘Akbar’s’ on day 7. This will include very traditional and delicious food! What’s Uzbekistan’s cuisine like? Noodle rich, lots of bread, a wide use of meat and a lot of flavour! Ever wondered how paper is made? We are going to visit a local family which is involved in mulberry paper making to get some insight. Uzbekistan is one of the last places to show the hidden secrets of paper making so this is sure to be an unforgettable experience. NB: The following program is subject to change due to any unforeseen circumstances. We will make every effort to complete the whole itinerary, however we may rearrange or miss entirely any art of the itinerary for any reason including, but not limited to, unexpected closure, travel interruption, weather, over run on other parts of the itinerary, individual or group welfare. Please read these booking conditions carefully as they form the basis of your contract with Colouricious Ltd Holidays. Once you secure your reservation with payment of a deposit or the full amount, we enter into a contract. We assume that you, and any other person on your booking form, or subsequently added to your booking form, have read these Terms & Conditions and agree to them. The holiday will include accommodation and meals as described on the website at the time of booking. Any flight and transfers details when not available at the time of booking, will be confirmed as soon as available. All tours and visits as described on the website at the time of booking. Travel arrangements are planned many months in advance and it may, very occasionally, be necessary to make changes to, or cancel completely parts of the itinerary. Therefore we reserve the right to make changes after we have entered into this contract. This includes the hotels and other accommodations. Although your confirmation and subsequent invoices may show the latest flight timings, these are subject to change at the will of the airline. We will inform you of any flight changes at the earliest opportunity. We do not take any responsibility for flight changes outside our control. When a change is a significant change (such as an alteration to your flight time by more than 12 hours, or a change to a lower standard of accommodation for the whole or a major part of your holiday), we will advise you as soon as is reasonably possible. You may then either accept the change, or take an alternative holiday (paying or receiving a refund / credit in respect of any price difference), or withdraw and accept a full refund. If your tour director is, for whatever reason, unable to travel with your party, we reserve the right to provide a replacement of similar professional expertise or a local professional guide. This will not be a significant change. If you book your own flights you should be aware that the land only component of your holiday may not be ATOL protected. Colouricious Ltd will not take responsibility for any problems, delays or expense you encounter with your own travel arrangements. Colouricious Ltd will not take responsibility for any failure by you to arrive at the destination and agreed meeting point in time to join the tour. Any photos and videos taken by Colouricious Holidays during your holiday may be used for promotional content. If your tour director/guest artist/host is, for whatever reason, unable to travel with your party, we reserve the right to provide a replacement of similar professional expertise or a local professional guide. This will not be a significant change & the holiday will proceed. We have an online booking system, however we are pleased to receive enquires via telephone, email or post. When you reserve your place on one of our holidays, you will be asked for payment of a deposit Payments can be made by credit/debit card online or on the telephone by direct bank transfer or by cheque. The balance must be paid at least 12 weeks prior to departure. If you are booking less than 12 weeks prior to departure the full amount is payable. If the monies are not paid in time, we reserve the right to cancel your holiday and apply the cancellation conditions as set out in clause 7 below. Please note that whilst we will always try to satisfy any request, we cannot guarantee airline seating arrangements, especially for the return sector. We reserve the right to increase our prices at any time, if costs rise due to unforeseen events such as government action, currency movements, or if fuel costs increase or other unexpected price rises occur of which we were unaware at the time of booking. Any increase in price will be limited to the net cost to Colouricious Ltd. In the event you wish to cancel your holiday you must inform Colouricious Ltd in writing immediately. Cancellation periods are calculated from the date Colouricious Ltd receive your written notification. It may be that it is possible to transfer your holiday to another Colouricious Holiday. In additional to any price differential & ticketing costs, an admin fee of £50.00 per person will be charged. If we do have to cancel your holiday for any reason, before the date of departure, you will have the choice of taking an alternative holiday (paying, or receiving a refund, in respect of any price difference) or accepting a full refund of all monies paid to us. We cannot be held responsible for any additional services or products which you purchase outside the terms of our itinerary or our brochure or website. Please note this includes any flight costs for flights that were not booked for you by Colouricious Holidays. If you are flying independently of Colouricious, do not book your flights until we have confirmed that the holiday will operate. It is a requirement that all clients have suitable travel insurance. You must provide us with the name of your insurers, the policy number and emergency contact number before you travel. Colouricious Holidays will not be liable for any costs incurred by you due to your failure to take out suitable travel insurance from the date of booking. It is your responsibility to ensure that you have all the necessary documentation to complete your journey. Be aware that some countries require a passport to be valid for 3-6 months after your holiday. Whatever your nationality you should check with your relevant embassy for visa and other requirements. Colouricious Ltd will not be responsible for any visa or other immigration matter, nor any costs incurred as a result of such matter. The names that appear on your booking form MUST be the same as the names in your passport. If the names on the booking form is not the same as on your passport you will be responsible for any costs incurred. It should be noted that many of our itineraries include visits to less economically developed countries and that the general levels of comfort and services in some destinations are lower than would be found in the UK and the EU. In particular pavement and road surfaces can be broken and uneven. The dust, heat and exhaust in big cities of LEDC’s may occasionally be troublesome for people with breathing issues. Be assured that providing you are reasonably healthy you will be able to take part in any of our holidays. If you have any special needs or medical condition that you consider (or some other person may reasonably consider) may impinge on your participation of the holiday, you must inform us at the time of booking so that we can advise you on the suitability of the holiday. We will strive to include everyone in every part of our holidays but in visiting LEDC”s some of the sites that we visit or stay, are not necessarily equipped for wheelchair access or other special needs. Dietary requirements should be advised at the time of booking. Colouricious will always strive to act in the best interest of the client to ensure the best holiday experience possible. It is essential that any complaints and or problems are notified to us at the time so that the matter may be addressed at the earliest opportunity. If your tour leader is unable to resolve the problem to your satisfaction, you should write to colouricious@me.com at the time. Colouricious will do our best to investigate and resolve the matter as soon as practicable. All matters arising from your contract with Colouricious Ltd are governed by English law and are subject to the exclusive jurisdiction of the English Court. Please book your holiday online – the booking form is found at the top of this page. Once you have submitted your booking form and made your payment, you will be sent a confirmation note and if appropriate an ATOL certificate. If you are considering upgrading your flight we will be pleased to assist. Please call us on 0203 362 4114 or email us at bookings@colouricious.com at the time of booking for a quote. Then it makes sense for you make your own way to Jaipur and meet us there. Simply email us at bookings@colouricious.com and we will send you the details. If you do not wish to book your holiday online, then please contact us on 0203 362 4114 or email us at bookings@colouricious.com and we will arrange it all for you and advise you of the ways you can make your deposit payment.